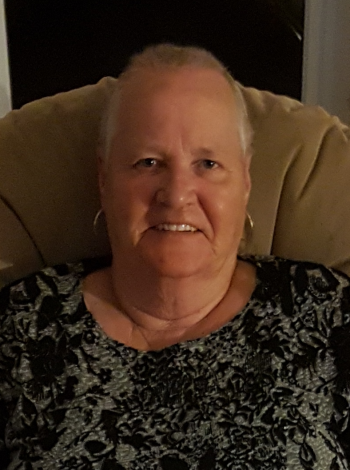 Ethel Mae Martin (nee Short), age 68, passed away at the Health Science Centre in St. John’s after a long (but too short) battle with cancer. Her love of family and faith in God supported her through her struggles and gave her peace. A remarkable mother, sister, daughter, grandmother, aunt, friend, and wife, Ethel was an amazing cook, impressive talker, and a generous woman. She married the love of her life Claude Martin on April 18, 1971, and they shared 38 happy years together until he died on October 13, 2009. She loved to watch golf and spending time with her grandchildren. She enjoyed Facebook and hot water tea. She adored Princess Diana and was looking forward to watching the wedding of Prince Harry and Meghan Markle. She had a strong faith and treasured her time with her best friend Alice at the Mary Queen of Peace Catholic Church. She surrounded herself with memories of her family and friends. She gave freely of her time. She supported her family and friends. She enjoyed berry picking. She talked to everyone. She had a son Patrick Martin and daughter-in-law Marlene who gave her a grandson Connor (9), and granddaughters Samara (6), Kenzi (4), and Tira (2) that she lived with for nearly 14 years. She had another son Michael and daughter-in-law Kathryn who gave her grandsons Matthew (21), and Nicholas (17). The grandchildren were her life. Her biggest regret was that she would not be around to watch them grow up, seeing them get married, and be there when they had children. Left with fond and loving memories are sisters Elsie (Andy Stoyles) of Gander and Elaine (Ted Decker) of Guelph; brothers Alvin (Joan) of Upper Island Cove, Hayward (Bonnie) of Lushes Bight, Clifford (Velma) of Paradise, Don (Louann) of Lunenburg, Carl (Carol) of St. Lawrence, Randy (Barbara Walsh) of Lushes Bight, Bruce of Lushes Bight, John (Pauline) of Lushes Bight; sister-in-law Shirley Short of Bryant’s Cove; nieces Debbie (Mark Connor), Margaret (Mark Topping) and Sharon (Craig Campbell-Macsween). And so many other relatives and friends. In addition to her husband Claude, she was preceded in death by Raymond (father) and Effie (mother) Short; Patrick (father-in-law) and Catherine (mother-in-law) Martin; Blair (brother-in-law) and Josephine (sister-in-law) Campbell; Pleaman (brother) Short; Nicholas (nephew) Decker. We are very saddened to learn of your Mom’s passing. She worked with and was a great friend to our family..
Have lots of great memories of her and your Dad. We are with you in our thoughts and Prayers at this time. Our thoughts and prayers are with the Martin & Short family at this most difficult time. Please take comfort remembering a life well-lived. Patrick and Michael so sorry to hear of the loss of your mom. Although I didn’t know her very well your mom and dad hold a special place in my heart for all they did for Anne and myself when I was a baby.